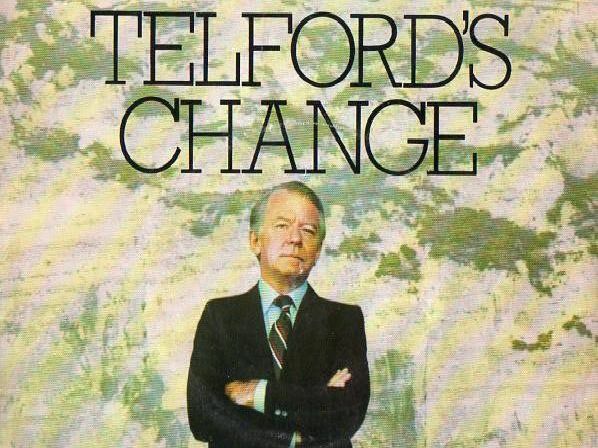 Remember Triangle, the Brothers or Telford's Change? They were all hits in their day. We take a look at the boardroom dramas, banking dilemmas and life on board a ferry. The Brothers was a British television series, produced and shown by the BBC between 1972 and 1976. ''Debuting with the death of road haulage magnate Robert Hammond, the series followed the trials and tribulations of the company and family/families he left behind, with equal shares in Hammond Transport Services left to each of his three sons and to his secretary (who was revealed to have been Hammond's mistress and the mother of his illegitimate daughter). ''The series was based around conflict within the Hammond family over the direction of the family firm, a London-based road haulage business called Hammond Transport Services, after the death of patriarch Robert Hammond. ''The eldest son, Edward (played by Glyn Owen during the first series and by Patrick O'Connell for the remainder of the show's run), prepares to take over the running of the business, only to find that his father has left equal shares to his two other sons, Brian (Richard Easton), a dull accountant and David (Robin Chadwick), a young graduate - and to his mistress and secretary Jennifer Kingsley (Jennifer Wilson). ''Storylines throughout the series dealt with plans to expand the business into an international concern, coupled with more family-orientated plots as Edward and Jennifer fall in love and marry. ''Other prominent characters included Robert Hammond's hard-faced widow and the mother of the three brothers, Mary (Jean Anderson), who is determined to continue exercising her own influence over her family, Brian's shrewish wife Ann (Hilary Tindall) and David's girlfriend then wife Jill (Gabrielle Drake). Take Me Home Take Me Home was a British television drama series that originally aired from 216 May 1989. ''The show starred Keith Barron, Maggie O'Neill, Reece Dinsdale, and Annette Crosbie. ''The lead character, Kathy, was one of the first television roles for actress Maggie O'Neill. Reece Dinsdale was also known for his role opposite John Thaw in the comedy Home to Roost''It was made when Yuppy-dom was at its height. Kathy was a lonely young woman who moved to an extended Midlands town. The fictional industrial town was experiencing major transformation, including residential development, roads, and an advanced computer technology centre (relevant to the era of the broadcast). ''Kathy encounters a local taxi driver, Tom, who is driven by his passion for engineering and the infusion of technology in the town. Kathy and Tom begin to meet secretly, behind their respective partners' backs. ''It all gets very messy when Tom is persuaded to leave his wife played by Crosbie. A Bit of a Do was a British comedy-drama series based on the books by David Nobbs, one of the best comedy writers of all time. ''The show starred David Jason and Gwen Taylor as husband and wife Ted and Rita Simcock. One of their sons, Paul, was played by David Thewlis. ''The show was set in a fictional Yorkshire town. Each episode took place at a different social function - including weddings, a christening, an anglers' club supper, a dentist's dinner dance and Miss Frozen Chicken UK contest. ''It followed the changing lives of two families, the working-class Simcocks (David Jason, Gwen Taylor, David Thewlis and Wayne Foskett) and the middle-class Rodenhursts (Nicola Pagett, Paul Chapman, Sarah-Jane Holm and Nigel Hastings), together with their respective friends, Rodney and Betty Sillitoe (Tim Wylton and Stephanie Cole), and Neville Badger (Michael Jayston). ''The series began with the wedding of Ted and Rita Simcock's son Paul to Laurence and Liz Rodenhurst's daughter Jenny; an event at which Ted and Liz begin an affair. The subsequent fallout from this affair formed the basis for most of the first series. Upstairs, Downstairs was a British television drama series produced by London Weekend Television/''It ran for 68 episodes divided into five series on ITV from 1971 to 1975. ''Set in a large townhouse in Belgravia in central London, the series depicts the servants"downstairs"and their masters, the family"upstairs"between the years 1903 and 1930, and showed the slow decline of the British aristocracy. ''Great events featured prominently in each episode but minor or gradual changes were also noted. ''The show stands as a document of the social and technological changes that occurred between those 27 years, including the Edwardian period, women's suffrage, the First World War, the Roaring Twenties, and the Wall Street Crash. ''Among its stars were Jean Marsh, who with Eileen Atkins created the series, Gordon Jackson, Nicola Pagett, Simon Williams, Pauline Collins, John Alderton, Christopher Beeny and Hannah Gordon.